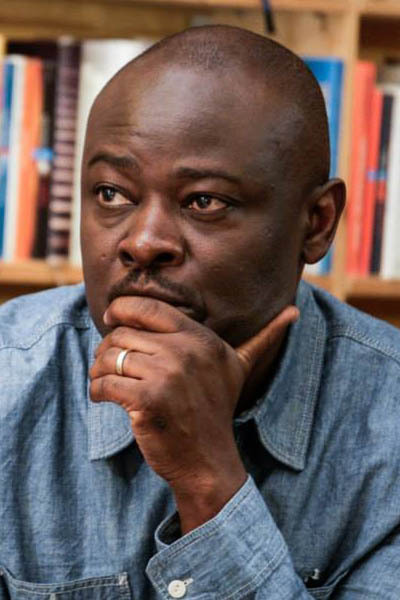 Helon Habila was born in Nigeria. He worked in Lagos as a journalist before moving to England in 2002 for a writing fellowship at the University of East Anglia. In 2001, his short story, “Love Poems” won the Caine Prize and in 2002 his first novel, Waiting for an Angel was published. The novel went on to win the Commonwealth Prize for Best First Novel (Africa Section) in 2003. In 2006, he co-edited the British Council’s anthology, New Writing 14. In 2005-2006, Habila was the first Chinua Achebe Fellow at Bard College, New York. He stayed on in America as a professor of Creative Writing at George Mason University in Virginia. In 2007 his second novel, Measuring Time, was published. The novel won the Virginia Library Foundation’s fiction award in 2008. In the same year, Habila’s short story, “The Hotel Malogo” won the Emily Balch Prize. “The Hotel Malogo” was also selected by the Best American Non-Required Anthology, edited by Dave Eggers. Habila’s third novel, Oil on Water, which deals with environmental pollution in the oil-rich Niger Delta, was published in 2010 and was shortlisted for the Commonwealth Writers Prize (2011) and the Orion Book Award (2012). It was also a runner up for the PEN Open Book Award (2012). In 2011 Habila edited The Granta Book of the African Short Story. Habila has been a contributing editor for the Virginia Quarterly Review since 2004. He also teaches every summer in an annual creative writing workshop series in his native Nigeria, the Fidelity Bank International Creative Writing Workshop. Helon Habila lives in Virginia with his wife and three children.